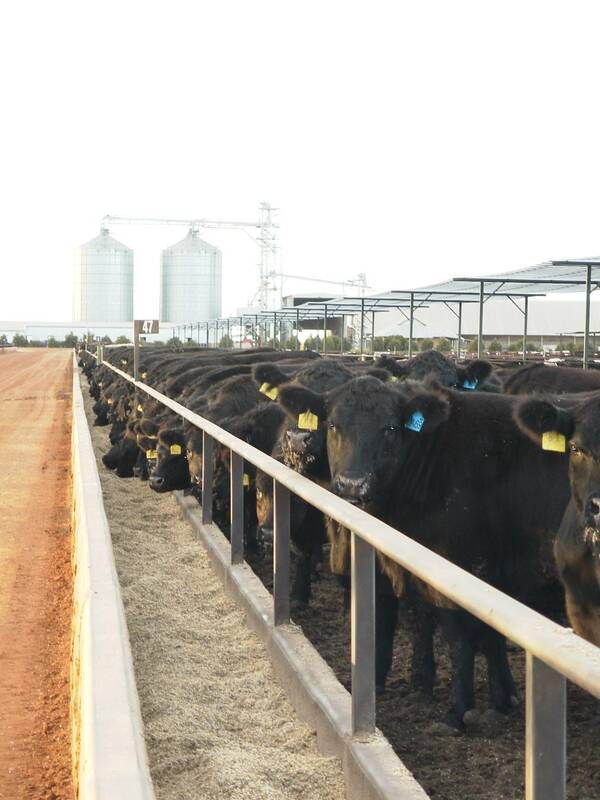 FIGURES disclosed in the recent sale and leaseback deal involving JBS Australia’s feedlots and grainfed cattle secured by Rural Funds Management should not be interpreted as representing the full commercial value of the feedlot assets. A significant number of grainfed industry stakeholders contacted Beef Central following the announcement, trying to understand what the figures meant. At face value, the 12 July announcement led to some stakeholders to make the interpretation that JBS had sold its five large commercial feedyards with capacity of around 150,000 head, for just $53 million – or about $400/beast area. That figure looked way too low, many said, in a thinly-traded feedlot property market where commercial yards on a per-head basis are often priced at $800-$1500/head, depending on the standard of improvements. Beef Central contacted RFM and JBS for clarification. The agreement, described as a ‘put-and-call deal’, also reflected the option that JBS has to buy the assets back, any time after year five. The sale and leaseback model agreed to by JBS and RFM is common practice in industrial and commercial property, but rarely seen at this stage in agricultural infrastructure assets like feedlots. Click here to view original 12 July sale announcement article. Not a Beast Area Value at $400! A Beast Area Value is the amount of land that will sustainably support one beast for a year, looking through the cycle. In a feedlot valuation it is so much per head of licensed capacity: say $400 (as mentioned). What is the real long-term range of value per licensed head in the feedlot space? Is it AUD$400 to AUD$1,000, depending on the stage of the commodity cycle?